While working on the Winter Snowflake Words, one of the words on my list of ideas was Hope. One of my Hope snowflakes had loops that reminded me of the awareness ribbons used by many groups as a symbol of hope. 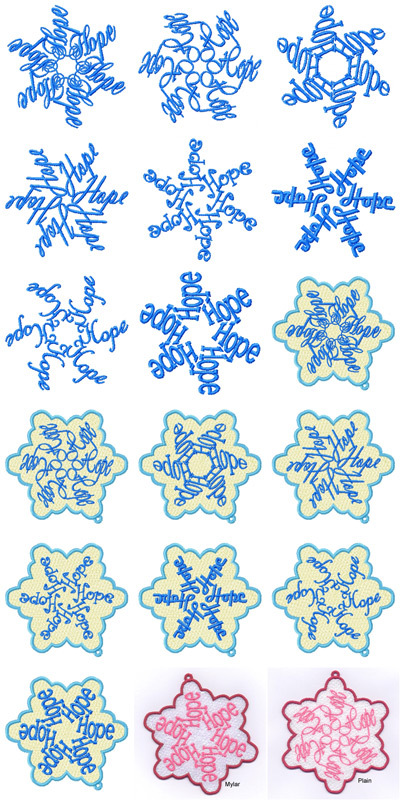 I decided to create a group of 8 Hope snowflake designs along with a free standing lace (FSL) shape and give the designs away so you can pass on Hope to anyone who needs it. The snowflakes will fit a 4×4 hoop (100m x 100mm) and the FSL versions will fit a 5×7 (130mm x 180mm) hoop. The FSL version includes a placement line if you wish to add Mylar or some other sparkly stuff. Click on the button for your format. 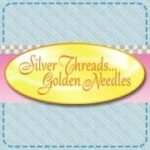 Please feel free to share this link with your friends but please be kind and do not share the designs.